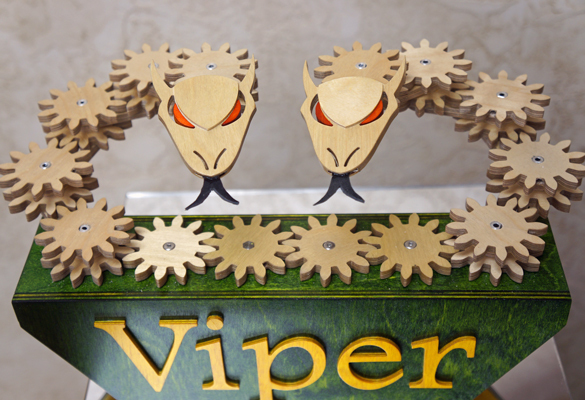 Presenting Viper, Forrest Burnett's delightful interactive, gear driven kinetic sculpture. See it in action on the video player below, or click here to see it in action on YouTube. This pair of Vipers coil and uncoil, reaching out to strike, and then retreat back into their lair, preparing to strike once again! 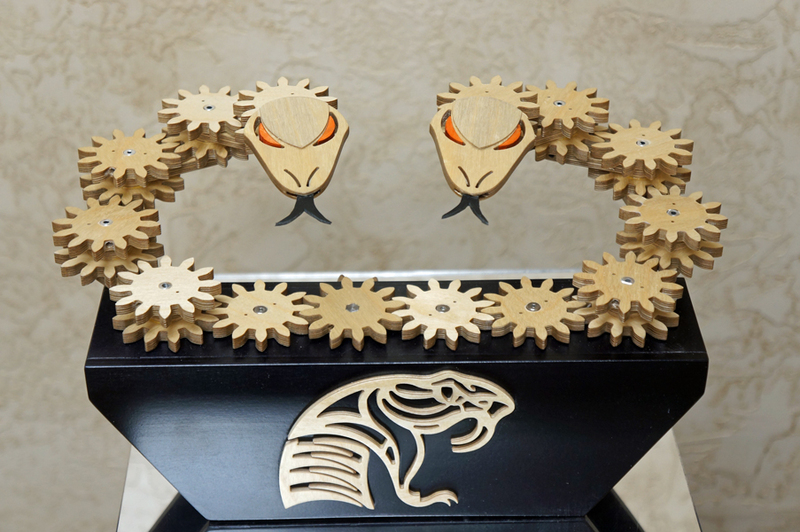 Forrest has created both a hand-driven and motor-driven option, as well as other options for personalizing your own gear driven Viper kinetic sculpture. Viper Kinetic Sculpture plans are available in dxf format only. No paper plans are available.